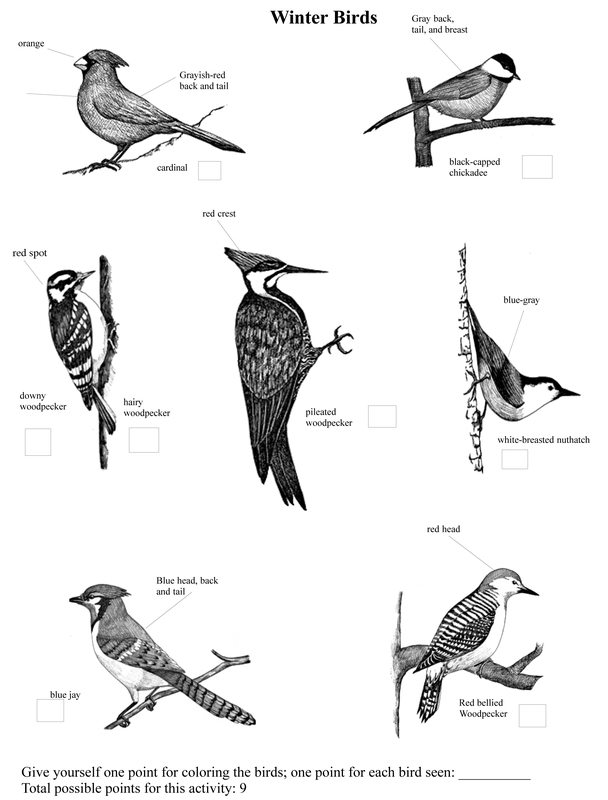 Download the Winter Birds Activity. Answer the questions using the text below. Click here for the Winter Birds PDF. Not all northern birds migrate south for the winter. A few birds eliminate the dangers of migration and take their chances with the weather and their ability to find food in the frozen northern climate. Since food is at a premium in the winter, you can easily attract birds to you home by putting out a feeder. My feeder is 20 feet from the house and birds have been readily coming to it all winter. I have two feeders: thistle feeder for goldfinches and a covered feeding station which has a suet feeder attached to it. I feed black sunflower seed only, because it is cheap and numerous species eat the seed. drum beating in the woods. 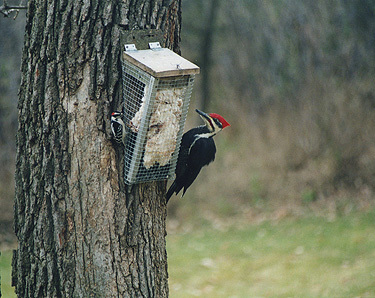 In Minnesota, the pileated woodpecker is commonly seen. However, in most parts of the United States, they are rare. Pileated woodpeckers eat carpenter ants. They search for the ants in diseased trees and cut large furrows deep in the wood. In fact, some trees are so “carved up” by pileated woodpeckers that they resemble wood sculptures in the forest. Most blue jays remain in Minnesota through the winter. However, some young birds migrate south in the fall. Jays can be easily told by the bluish color and the crest on their head. At the feeder, blue jays eat sunflower seeds and cracked corn. They will imitate the scream of a hawk to scare other birds away from the feeder. 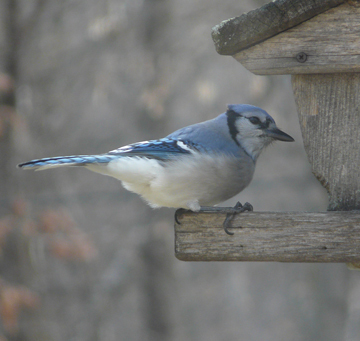 Blue jays can store a number of seeds or acorns in their gular pouch (part of their throat). Also, they store nuts in the hollows of trees and eat them later. The male cardinal can be told by its red color, black mask, and crest on its head. The back of this bird is a grayish red. The beak of the cardinal is orange and thick for cracking seeds. 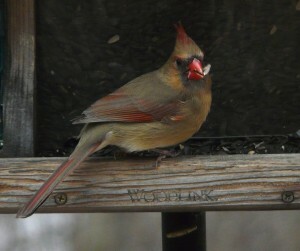 Cardinals will readily come to the feeder if sunflower seeds are available. In early February, male and female cardinals begin singing their spring calls, and establishing territories. 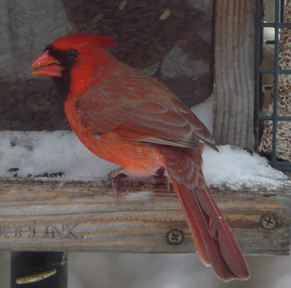 In December and January, cardinals are not territorial and can be seen in small flocks of up to 20 birds. On cold winter days, cardinals seek protection in evergreen trees. The white-breasted nuthatch is a small grayish-blue forest bird. Nuthatches are often seen upside-down on trees and have been called the “upside-down bird”. This behavior helps them see eggs and wintering insects. A nuthatch uses its strong beak to dig out insect eggs found under tree bark. 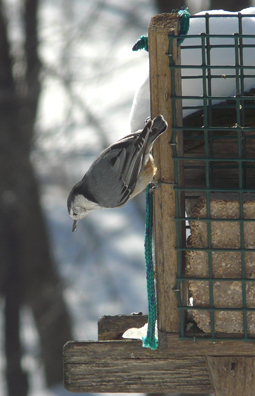 Male and female nuthatches maintain a feeding territory all year long. In late winter, nuthatches start setting up their nesting territories which are usually in the same area as their feeding territory. In February, males can be heard calling in the woods. The spring call of the nuthatch is a nasal “eee-eee-eee” (to hear a nuthatch call and other winter/spring birds go to: http://oldnaturalist.com/the-sounds-of-spring/)Nuthatches eat sunflower seeds, suet and corn and readily come to a bird feeder. The chickadee is a favorite of many birdwatchers. It is a small bird and has a black cap and black bib. Chickadees are found in small flocks which remain in contact by singing “chick-a-dee-dee… chick-a-dee-dee”. 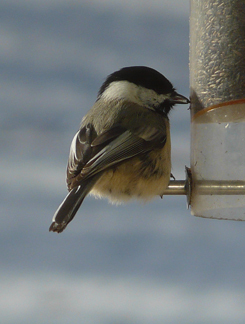 When they are not at a feeder, chickadees search for insects or eggs on twigs and outer branches. At night, chickadees may sleep in a tree hole made by woodpeckers or they may roost in a small flock in an evergreen tree. In early February, chickadee flocks break up when they begin to select their mates. By mid February they begin singing their spring call, “Feebee…Feebee”. It is welcome sound during a long winter. 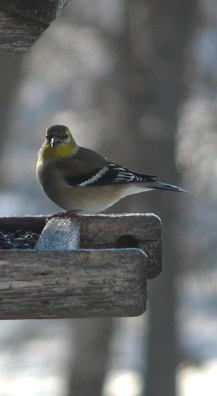 Most goldfinch remain in Minnesota through the winter. But if food is scarce, they may migrate south in small flocks. Goldfinch change color in the winter from a bright yellow summer plumage to a drab greenish-yellow color. The wing bars remain throughout the year. They are often seen in flocks of 8-10 birds at feeders. Goldfinch readily come to thistle feeders. 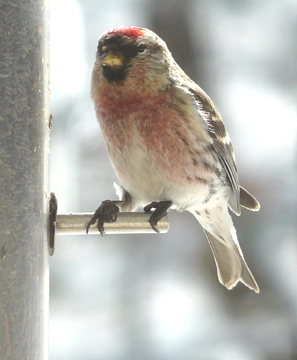 Redpolls do not migrate to the Twin Cities every year, but some winters they invade Minnesota in large numbers. The winter of 2009 was “redpoll invasion year”. Redpolls are usually seen in small flocks and feed on grass seed and weed seeds. In spring, redpolls migrate to the Canadian tundra to nest. Juncos are one of the few birds that migrate to Minnesota in the winter. They migrate from Canada and tend to return to the same wintering area each year. They are usually seen in small flocks and feed on seeds on the ground. 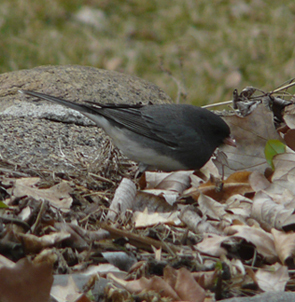 Juncos tend to roost in the same evergreen trees each night. They usually leave Minnesota in March and migrate north to nest. Juncos are one of the most common birds in North America with a total population estimate of over 500 million birds. 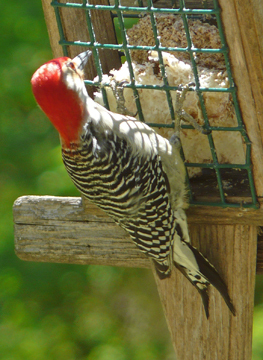 The red-bellied woodpecker can be told by its black and white ladder-back and the flaming red crown on the male’s head. The breast of a red-bellied woodpecker is tan and not red. 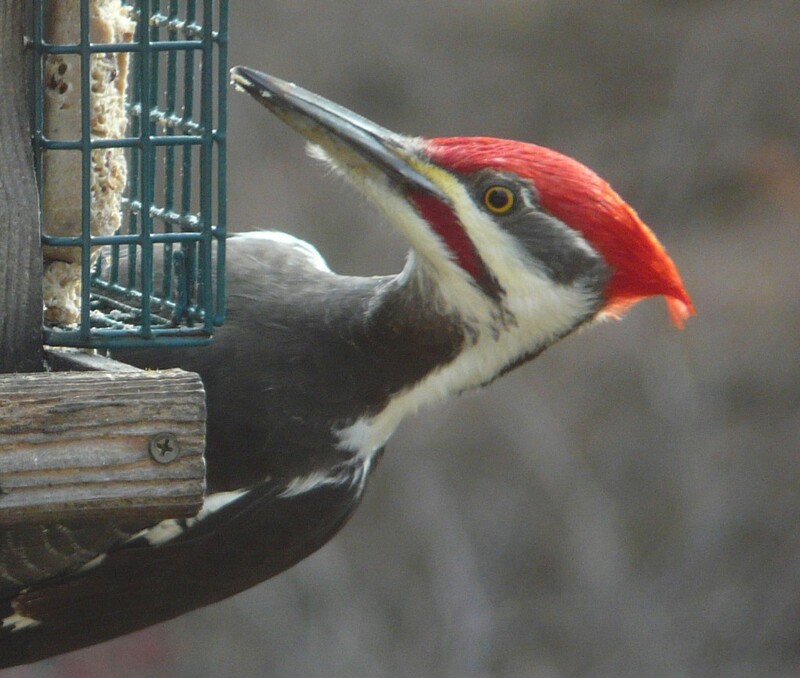 Like most woodpeckers, they readily come to suet feeders. The downy woodpecker is the smallest woodpecker in our northern woods. They are slightly larger than a chickadee. The male has a red spot on the back of the head and the female doesn’t. 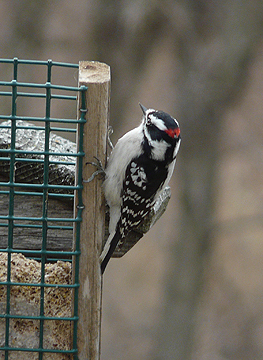 Downy woodpeckers can be heard “drumming” in March. The sound resembles someone tapping rapidly on a tree. Downy woodpeckers will peck on a diseased tree over the winter, feeding on insect larvae and eggs. The hairy woodpecker looks identical to the downy, but it is almost twice the size. 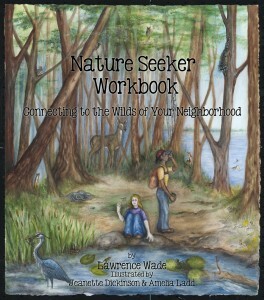 Do you want to keep track of winter birds you see in your neighborhood! You can print it out from the website (smaller size) or download a full-sized PDF here. Copyright Lawrence Wade, April 2013. I was visiting Minnesota for the summer and enjoyed watching many beautiful birds. Your site was very helpful to me to learn the different kinds of birds. I learned so much information on other topics, agates,trees and all about glaciers. Thank you so much for all helpful information. Do blue jays change color in the winter ? Thank you! We have had all these birds at our feeder this winter – now we know their names! Fantastic photos and thanks for reminding us that even in this frigid cold, there is beauty and life outside! I love feeding and watching birds year round. I also provide them with water in the winter with a heated bird bath. This is very important for birds in a cold and frozen climate. Thanks for all the great bird pictures Larry! I just saw about 10 different flocks of Blue Jays fly along the North Shore of Lake Superior at Palmers (half-way between Two Harbors and Duluth) in the direction toward Duluth (Westerly flight) on September 10, 2016 in the mid-morning. I think I counted over 800 Blue Jays.